An underclassman of Nee-san, Makimaki is one of the members of the Model Club. She is a classmate of Okappa and sits next to her in class. 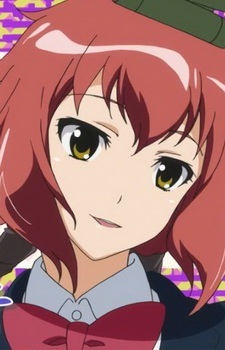 She is the most rational member of the Model Club and usually serves as a mediator between Nee-san and Okappa. She had a crush on a classmate but got heartbroken when she found out that he already had a girlfriend. A model of a tank sits on her head.